The following are the actual services prepared and organized by us. Since there is few number of companies that can be proficient in Thai, English, Chinese and Japanese, this tour group requested us to provide this multilingual service because they know that we are capable of such service. July and August are the hottest months of the year in Taiwan. 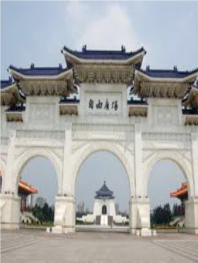 Upon arrival to Taipei that day, the temperature was about 38 ° C and the humidity was 93%. It was much hotter than Japan. 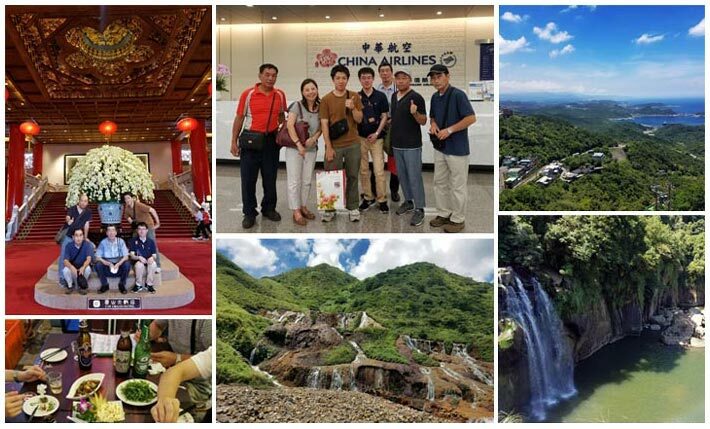 During the entire tour, when we visited tourist attractions and sightseeing spots, I took extra care of all Japanese guests who were not used to the heat and high humidity of Taiwan weather. 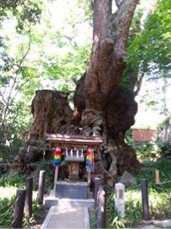 I was concerned about the physical condition of each and every one in the group. In addition, we were able to offer the group with confident some Taiwanese seasonal ingredients and fruits etc., to allow them enjoying local taste. To strive for the highest customer satisfaction, we did our best to provide our customers an unparalleled service that no other travel company could meet. We delivered our service with a friendly attitude while making sure that our customers feel safe. After returning home safely, feedbacks from our customers were that they would like to ask for the service from Fuji Global Sky Corporation again for their next travel. I am really glad to hear that our customers are happy with our service. 2017/01/10 "Tsuji Safe food Co., Ltd." the company with a long history in Japan, we provide the translation service for the company's history and product introduction. Thank you very much for your trust. In order to provide high-quality translations, our translation team completed this work within a short time and with a high sense of responsibility. 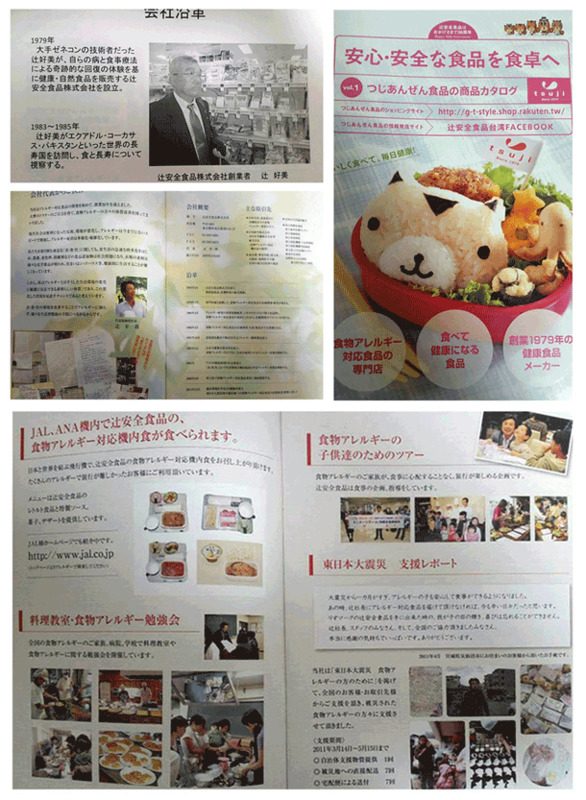 The second generation of the Tsuji family - Mr. Yukichiro Tsuji, like his father, devoted to those people who have food allergy. Not only that he constantly gives speeches with utmost effort about “Food Allergies” domestically and internationally, he also actively supports those who needed help. With his spirit and effort, our staff is very impressed and we truly respect him! Our company is very honored to take on this very meaningful translation work! In Japan, LINE is the most popular chat messaging application. However, in China, Weixin/WeChat has a number of users six times higher than LINE, i.e. more than 1.3 billion people. Among them, 800 Million is the number of active users. Tencent is one of the world’s top four social application developer companies. 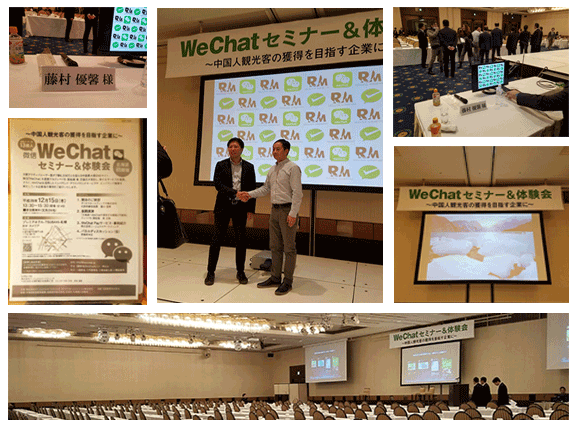 Focusing on one of the new WeChat services - "WeChat Pay", this is the first time in Sapporo Hokkaido that this seminar is conducted. Fuji Global Sky Corporation has the honor of being responsible for the interpretation for Tencent’s Vice President, Mr. Zhu. The interpretation is for the organizer, sponsor companies, government representatives, media relations, and many major companies in Sapporo, about 300 participants in total. During the three-hour interpretation for organizer and participants, and during the free conversation, even with preliminary work was well prepared, there were still a few unexpected challenges happened. Interpreter must be able to adapt to any immediate situation and lead the audience together. I think this is what it’s called “a real interpreter”. Our company translate the content of the customer's video clips that describe their products, and enable their promotion media become multilingual. Then through You Tube, Facebook, and other social media, the customer is able to develop their markets internationally. The number of their customers is rapidly increased. As a result, the sales revenue rose dramatically. This year, I had an offer to provide the interpreting service to Shanghai inspection group again. I am very pleased and honored to be invited as a interpreter. The group's activities are the same as last year, visiting factories and facilities, participating technical workshop, exchanging opinions between Shanghai and Yokohama City, as well as the cutlrual exchange in the welcome party. During the interpreting service, Shanghai inspection group gave me an impression that Chinese ｔechnologies are improving every year and reaching a very high level by adopting latest technologies from all over the world. I personally think that Japanese value quality above all else, but they should also value "speed" like Chinese. Shanghai inspection group is amazed how Japanese are conscious of eco friendly and has a spirit of cooperative relationship. This event deepen the freindship between Shanghai and Yokohama again. I am very honored to contribute my work as part of the diplomacy. I have been providing the translation service to the inspection group from Shanghai. The group’s activities are visiting factories and facilities, participating the technical workshop, exchanging opinions between both cities as well as the cultural exchange in the welcome party. In addition to the translation work, I also introduce them Japanese culture, habit, thinking, environmental friendly conscious, clean and quiet street / residential area, food culture and so on. I hope that they could understand more about Japan and like Japan more. Now the relationship between China and Japan is quite subtle. I believe that with the mutual understanding and cooperation, we will have a better future. This event deepen the friendship between Shanghai and Yokohama. I am really honored to complete this job and contribute my work as part of the diplomacy. This is really interesting! 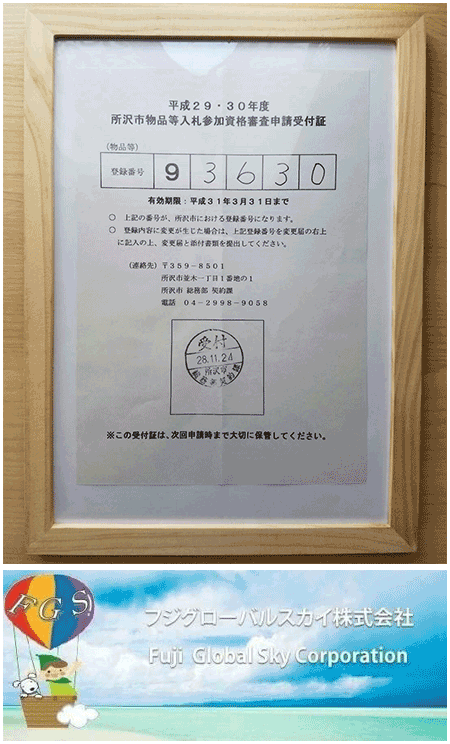 As of last year, we are requested by the Tokorozawa local firefighters group to organise a domestic 2-days-1-night tour. We all are appreciated by their contribution of protecting our community safety over the year. This time, the special arranged trip was very well done with 100% satisfaction by all participants. On the company's behalf, I feel very honored. Approaching year end holiday season, we hope that these firefighters continue their efforts to protect the public safety. Thanks again for all your hard-works. 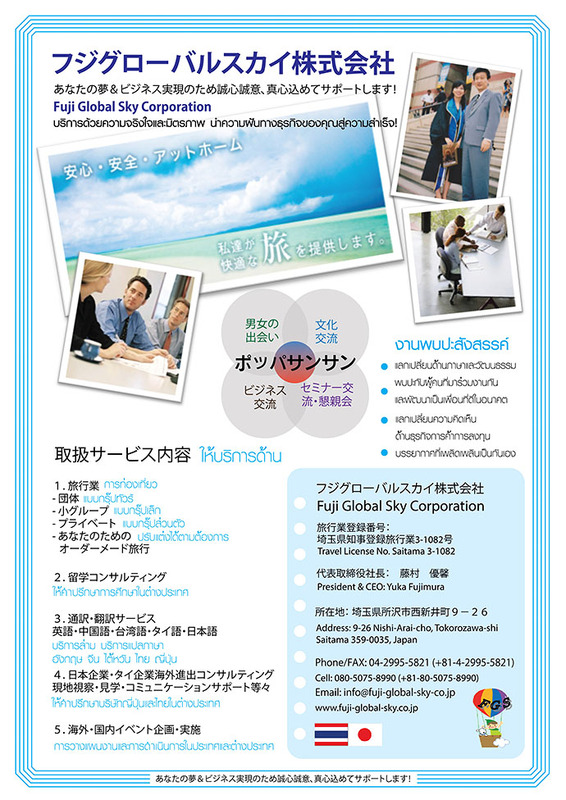 This is an interpretation work for one of Japan's three major trading companies. 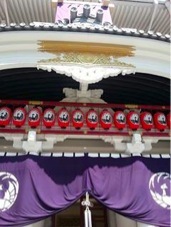 To host overseas guests, I accompany them to experience the Japanese Kabuki, Asakusa, Ginza ... Atami sightseeing (for example Kinomiya Shrine). I am happy because all these special guests are very satisfied with the service! 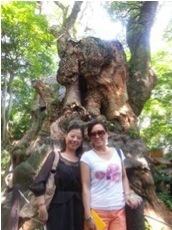 It is very meaningful for me to be able to be engaged in establishing friendly relations between Japan and foreigners. Jiufen is one of the very famous attractions in Taiwan. In the evening, there are a lot of tourists! 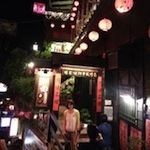 Jiufen’s old street is filled with reminiscence and village atmosphere! 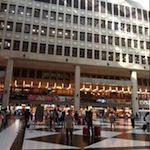 Inside the Taipei Train Station. The scale is astonishing! Worth a visit! 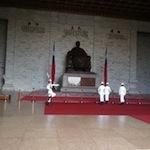 We also visit Chiang Kai-shek Memorial Hall and see the honor guard transfer! It was really great! 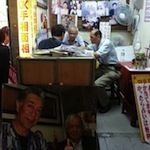 In Taipei, guests are listening to a famous fortune teller. I heard his fortune-telling is very accurate! 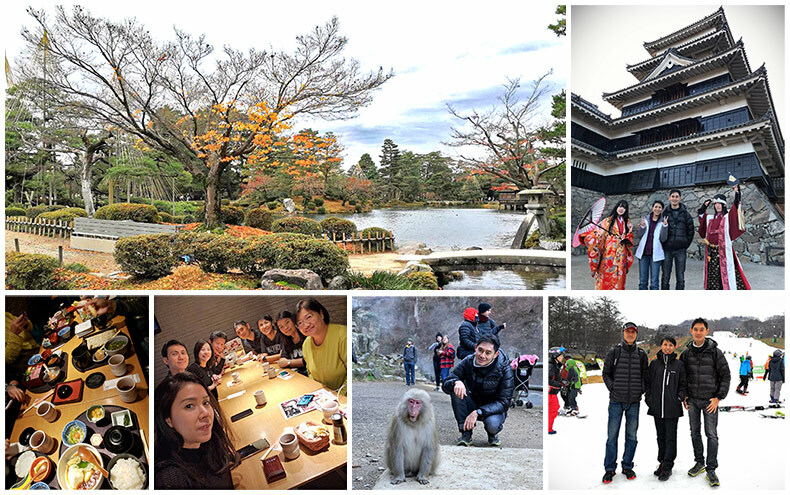 A sightseeing trip (4 days) of a Singapore's prestigious guests to Japan. 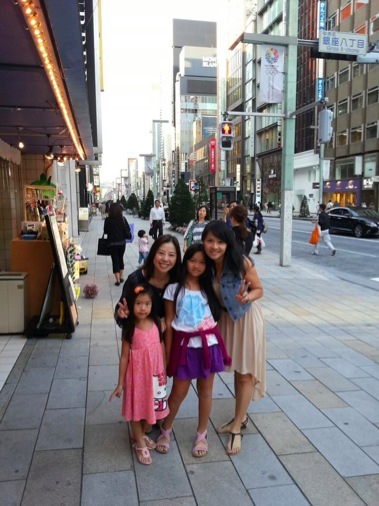 Accompanying the family group at all time and providing translation service for them during their entire stay in Japan, all activities are according to the family guest’s request, the guests fall in love with Japan and will definitely make a return trip in the future. We look forward to their next visit to Japan and we will, again, do our best to provide them the warmest service. B. In addition to the usual sightseeing places, according to the guests’ request that they would like to purchase fashion accessories, clothing, shoes, etc., we took them to the wholesale market of these items. C. Even at late night like 2 AM, we went shopping at a night market. Moreover, we brought the group to dance at a five-star discotheque where famous super star, singers, actors frequently visit, the guests are so happy about this trip. All of them are very satisfied with the program on this 3-days-2-nights trip in Taipei. They all said that they would definitely participate again. B. 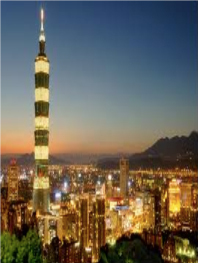 Other than the usual travel arrangement for the trip, guests specifically ask to visit the area so called the city that never sleep in Taipei. Therefore, we took them to a nightclub that is safe and secured. Our travel plan is upon request by guest, a so called “Made to Order” travel. 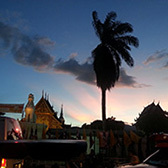 Composed of a small group, on May 4th 2012, we leave for Chiang Mai for nine days. 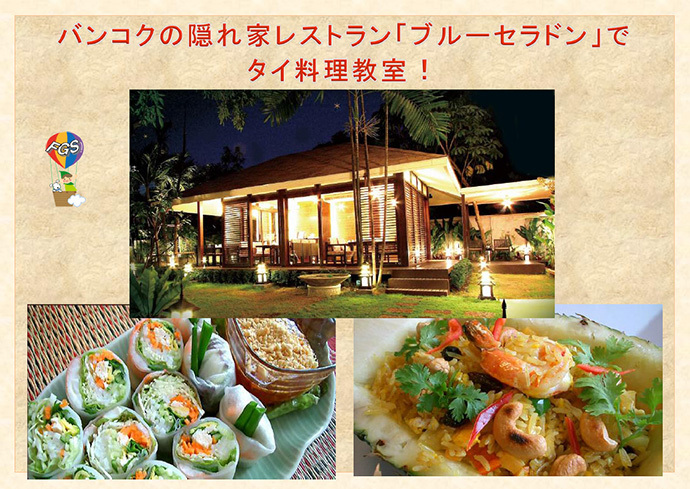 One of the guests in the group is a well-known entrepreneur who has most Thai food restaurants operating in Japan. In Chiang Mai, we help guests to find decorations (primarily large wooden carvings) and aromatherapy, massage supplies, and other valuable local Thai products. 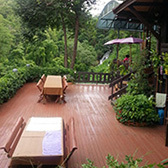 The trip went to the less-known attractions in Chiang Mai, Thailand, authentic Thai cuisine restaurant, Thai massage · · · are specially designed according to the needs of guests. On June 29th 2013 (Saturday), Bangkok, Thailand, we have successfully organized the first "Pop-Pa-Sang-Sarn” Party, with the sponsor from Asahi Breweries Ltd. There are more than 100 participants attend this event. 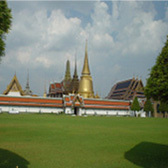 Thailand and Japan has established a good and friendly relationship for many years. In the near future, as Asian become the economic center of the world, there is a need to have a stronger communication between people, social & cultural. The theme of the first event is "love". 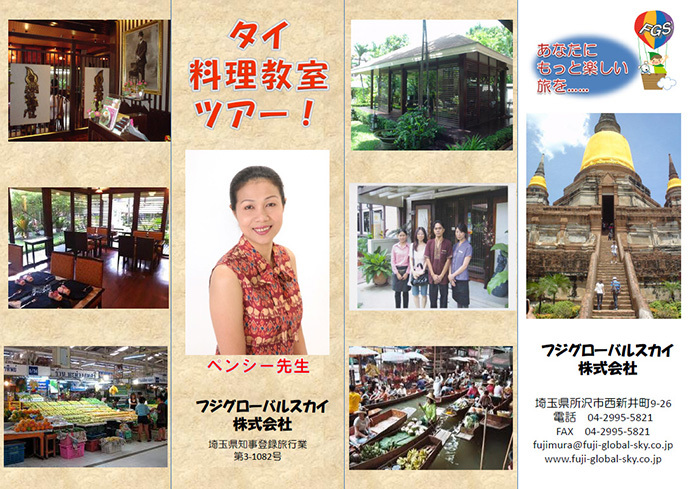 We bring together the Japanese who would like to know Thais and the Thai people who want to meet the Japanese. We create an opportunity for them to get to know each other. This type of event (called Machicon) is very famous in Japan, we introduce it to Bangkok. "Machicon” was renamed to "Pop-Pa-Sang-Sarn@ Bangkok". This event, in the future, will enhance the Thai-Japan relationship and deepen the exchange of culture and communication between Thai and Japan. Below is the homepage of this event. Please visit to find more information about the coming event. Inviting a famous Thai cuisine teacher, privately reserved a high class Thai restaurant in Ekamai, Bangkok, we organized a Thai cooking class, a five-days-three-nights trip. The trip included visits to Thai food market that was scarce in Japan, featuring a variety of Thai food ingredients. 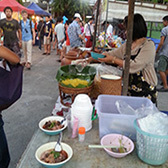 The teacher taught the group how to select fresh ingredients for Thai dishes, how to choose spices, and even how to bargain for the best price. The participants were very happy. Moreover, with the fresh ingredient that could not find in Japan, the participants cooked their own authentic Thai dishes, under the guidance of the teacher.